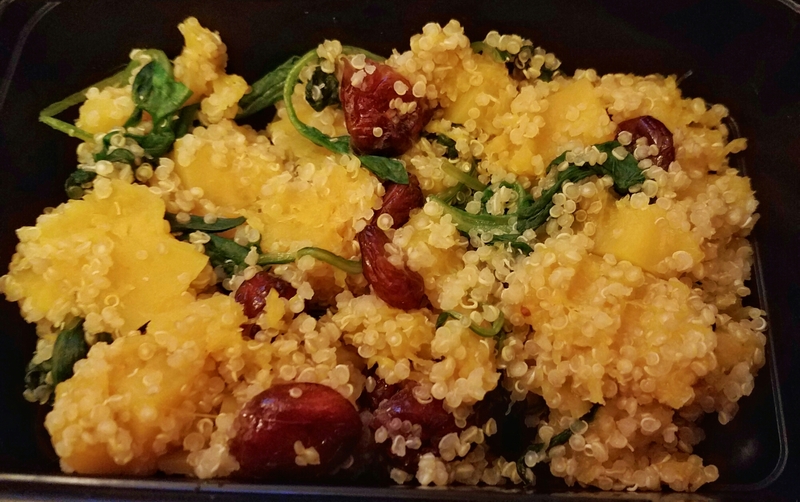 When pressed with time, it can be hard to pull together meals for the week. Luckily, the store had some pre-marinated salmon portions on sale and I took advantage of that. I bought two filets marinated in maple dijon and two filets marinated in teriyaki, then placed it on the grill. It only takes about 5 to 10 minutes (or longer if it’s a bigger portion). For the quinoa, it’s a half cup of quinoa to one cup of chicken broth and bring to a boil. Total cooking time was 20 minutes. 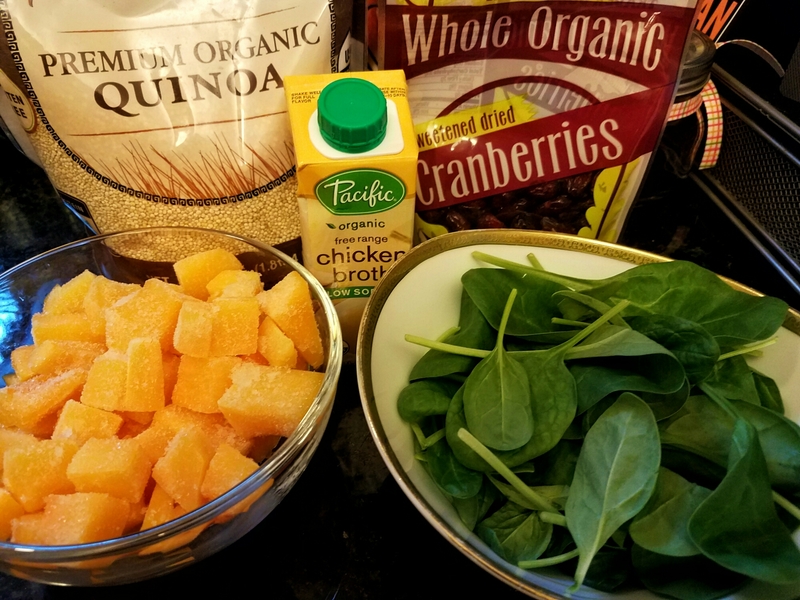 Halfway thru I added the butternut squash, and for the last few minutes, I added the spinach and the cranberries. Remove from heat. Let it sit for about five minutes. 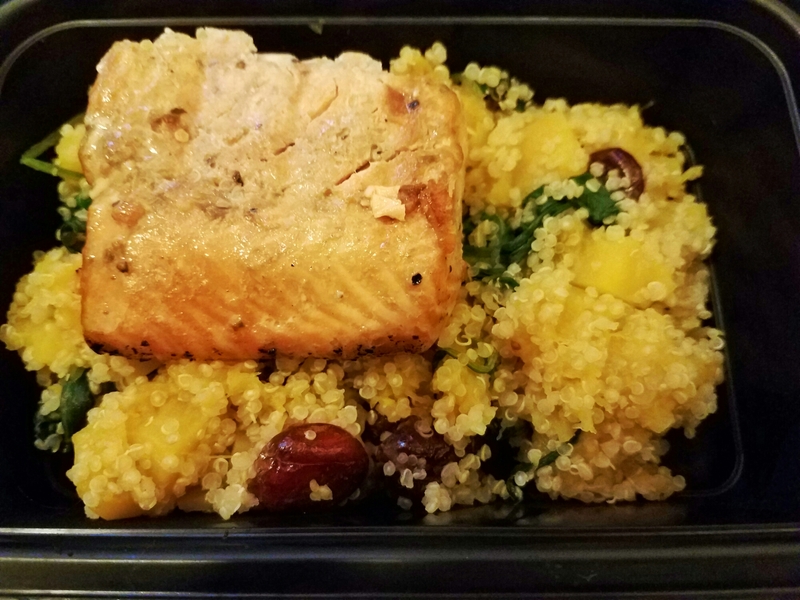 Divide the quinoa and salmon in containers for the week and refrigerate.